There are a whole lot of considerations that come into play when making a chatbot — it’s not quite as straightforward as many believe it is on first look! Rae Steinbach from Snaps has some tips to share. Chatbot technology isn’t a novelty any more. Sophisticated conversational bots are already being used in industries ranging from hospitality to financial services. This presents developers with an opportunity to serve a fast-growing market. 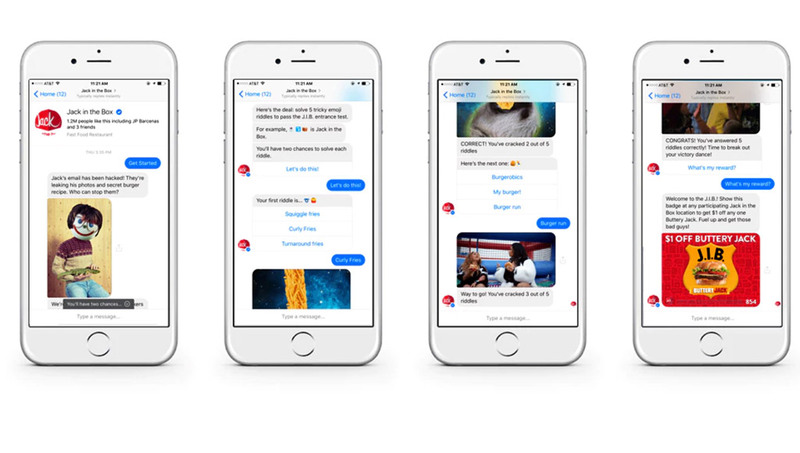 As more and more organisations recognise the benefits of implementing a chatbot marketing strategy, they’ll need developers who can build bots tailored to their specific needs. To create one that stands out from the crowd, keep the following tips in mind. Chatbots may not be real people, but interacting with one shouldn’t feel cold and robotic. Customers want to interact with something that has some sort of personality. Ideally, that personality should compliment a company’s branded identity. There are several ways to create a bot that feels somewhat human. Programming it to use relatively casual language is an essential step; you don’t want conversations with a chatbot to feel too formal. Additionally, you could equip it with artificial intelligence, allowing it to “remember” past conversations with users that it can refer back to during later interactions. Communicating with a bot that treats you like someone it actually knows gives the experience a much more personal feel. To implement this feature, use a database connected to a back-end server to set up context storage. This allows chatbots to interact with each user on a more individual level, offering recommendations based on their interests, providing support for tasks they may struggle with, and more. When you first release a chatbot, you shouldn’t expect it to have a full grasp on all human responses. People often make typing errors; they use unclear language. All of this can confuse a chatbot. When this happens, make sure the chatbot doesn’t simply respond with “I don’t understand.” Instead, program it to respond with a direct link to a human customer support representative. Design this fallout mechanism so your bot’s AI can learn from its past experiences. The more interactions it has, the more it will learn about communication, allowing it to successfully decipher typos and unclear responses in the future. Consider what will be most convenient for your chatbot’s ideal user before deciding on an interface. In some cases, voicebots are more useful than chatbots. However, it’s worth noting that more than half of today’s customers prefer to message a company rather than contact it by phone, indicating a growing interest in text-based interactions. Thus, a chatbot may be the better option for your goals. Still, you need to decide which platform to release your chatbot on. Facebook Messenger? Slack? A native app? For the best results, consider developing a single chatbot that’s compatible with multiple platforms. Chatbots aren’t mere customer service machines. While addressing basic customers questions or concerns is one of their main benefits, that’s not all they can do. Chatbots are able to imitate popular film characters. They can recommend playlists based on your favourite music. Some are even augmenting home health care for the elderly. Don’t limit your project’s potential by failing to explore the vast capabilities of this technology. Chatbots are set to revolutionise many aspects of daily life. Developers can take advantage of this by creating chatbots that feel human, are easy to interact with, and perform numerous impressive functions that make daily life easier for users. If you’re looking for a team to help you learn more about chatbot development and get started on building your own branded bot, sometimes it helps to talk to the pros. Snaps is the expert chatbot development agency here for just that: Get in touch and say hi!